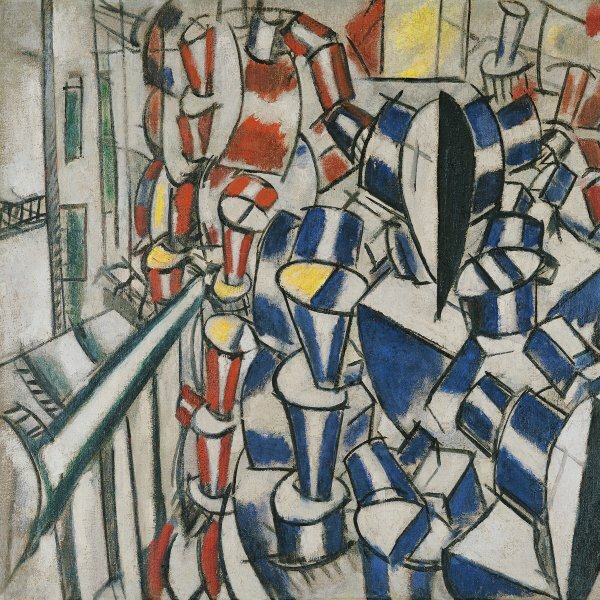 Fernand Léger was one of the foremost members of the Paris avant-garde of the first half of the twentieth century. He studied architecture at Caen and in 1900 went to live in Paris, where he worked as an architectural draughtsman and attended the painting academies of Gérôme and Gabriel Ferrier. The powerful impression the Cézanne retrospective of 1907 had on him drove him to abandon the Impressionism of his early works and steep himself in the language of the avant-garde. He frequented the company of the Cubist painters and Apollinaire and in 1910 he joined the group of artists who exhibited at the gallery of Daniel-Henry Kahnweiler. The first works he produced within the orbit of Cubism had a figurative component, which evolved towards greater abstraction following the Contrasts of Forms series executed in 1913. 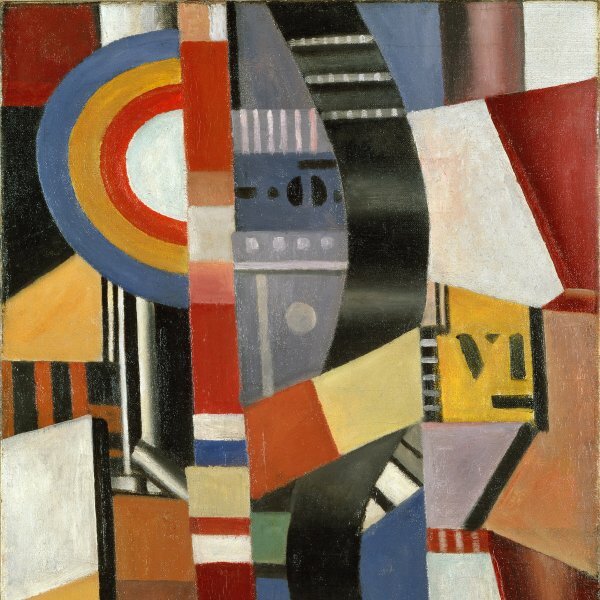 Léger was involved with the Puteaux group, a circle of artists that included the brothers Marcel Duchamp, Raymond Duchamp-Villon and Jacques Villon, who, influenced by the theories of the philosopher Henri Bergson, were interested in the analogy between art, mathematics and music. Léger exhibited with them at the salons of the Section d’Or. He was also in contact with the Russian avant-garde and the Italian Futurists, and enjoyed a close relationship with the painter Robert Delaunay. Léger was conscripted during the First World War and ended up in hospital. 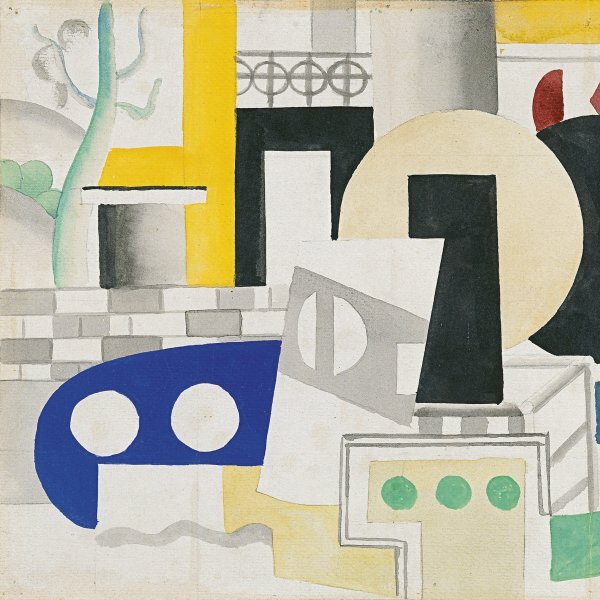 Later, during the interwar period, his work showed the influence of the review L’Esprit Nouveau, founded by the architect Le Corbusier, which advocated the machine aesthetic, ushering in his “machine period” in which his works expressed his fascination with the urban landscape of Paris. 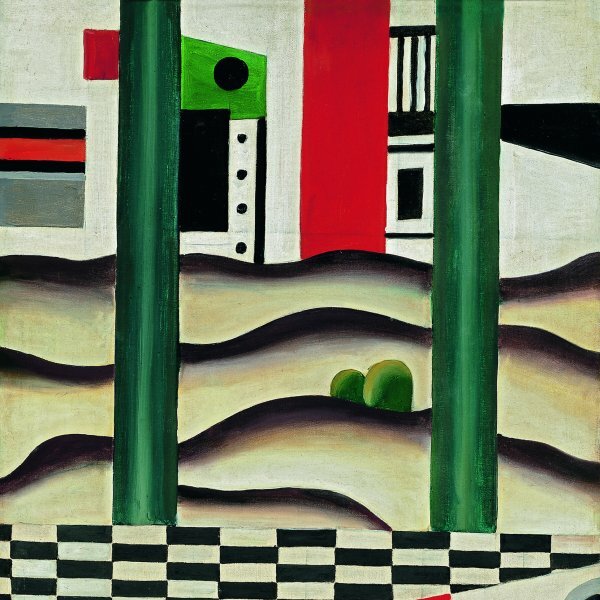 Composition with Three Figures, executed in 1932 (Paris, Centre Pompidou, Musée national d’art moderne), marked the start of his interest in the human figure and his personal approach to classicism in keeping with the widespread tendency of a “return to order.”During the Second World War he sought exile in the United States, where he lectured at various universities. On returning to Paris he joined the Communist Party and was a prolific creator until the end of his life. He produced numerous mural paintings and was interested in stained-glass windows, mosaics and tapestries.